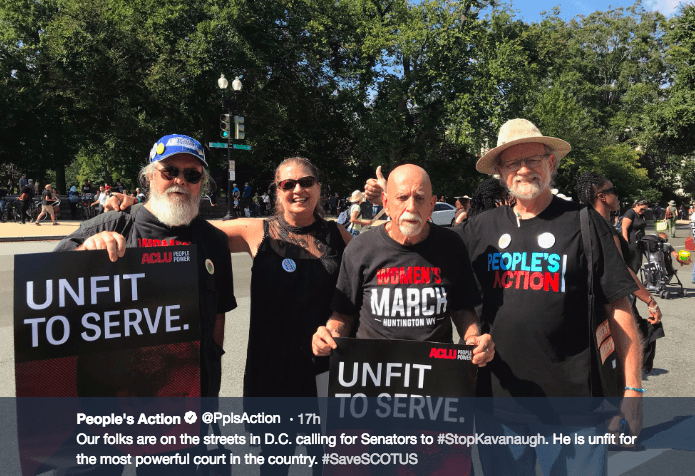 It was 5:00 a.m. when West Virginia Citizen Action members and coalition activists boarded a bus to cross the Allegheny Mountains as we headed towards Washington, D.C. We had one goal in mind: keep Brett Kavanaugh off the Supreme Court. Along the way, we stopped in Morgantown to pick up fellow travelers. By the time we reached D.C., we were thousands strong, streaming in from all over the country, ready to march. We’re part of Our Time Is Now! 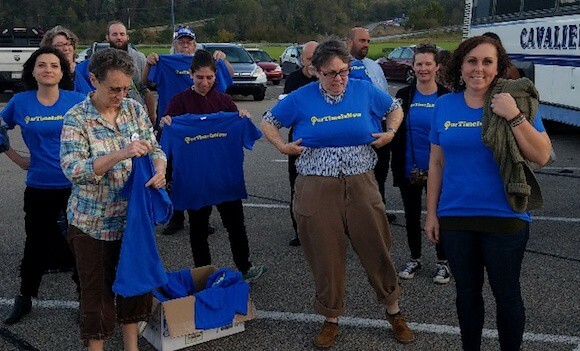 – a new coalition of West Virginia nonprofits and faith groups, including the Our Children Our Future Campaign, ACLU, NAACP, West Virginia Free, Rise Up WV, and others who feel as strongly as we do that Kavanaugh is wrong for the job, and wrong for the nation. 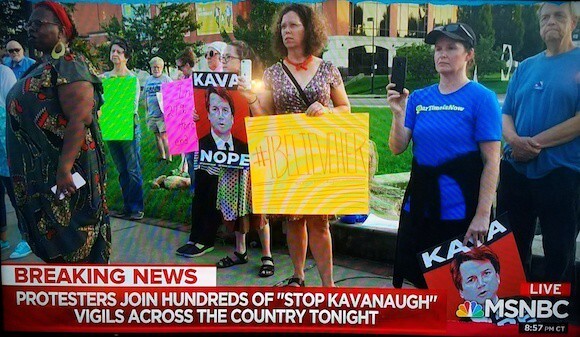 We’re also part of the millions who feel that not only is Kavanaugh wrong – the rush to confirm him is wrong. It undermines the credibility of the Supreme Court and the democratic process. So we’re speaking our consciences now, putting our voices and bodies on the line, and we’ll vote our conscience in November. We want to make sure our Senators hear us loud and clear. 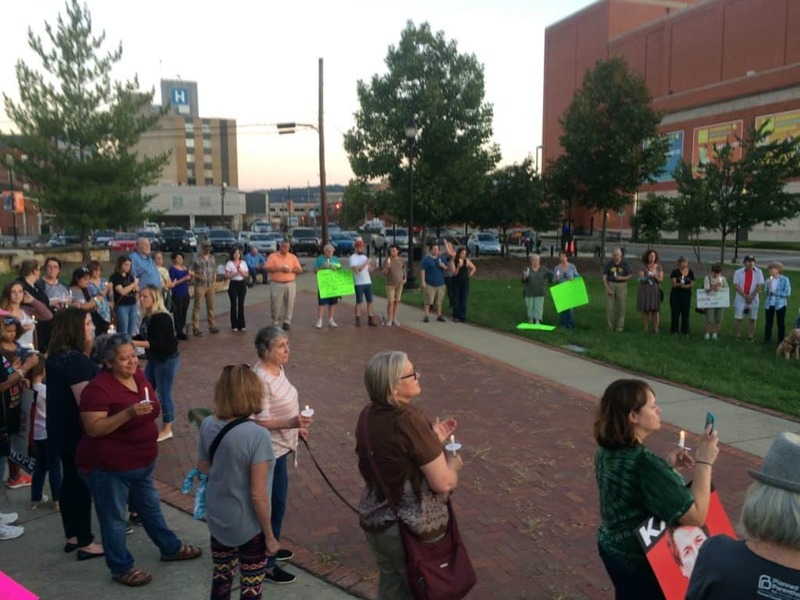 Margaret was one of about fifty West Virginians who gathered the evening before our trip for a Survivors Solidarity Circle in front of Senator Manchin’s Charleston office. She and others, including WVCAG member Caitlin Gaffin, shared honestly and courageously about their own painful experiences of sexual assault. In D.C., we took the case against Kavanaugh straight to our senators. West Virginia may be small – just 1.8 million residents – but the votes of Manchin and Capito play an outsized role in Kavanaugh’s confirmation. Caitlin is one of nine survivors who were arrested at a sit-in inside Senator Manchin’s Charleston campaign office on Monday. In D.C., Manchin sat down with her in his Capitol Building office, where he heard her story and those of other members of the delegation. It felt like Senator Manchin really listened. He even asked our group to stay in his office until he could come back from a floor vote to hear more. He did came back, and met with us again for another 45 minutes. At one point, tears welled in his eyes and many of his female staffers were in tears, too. Senator Capito, in contrast, couldn’t find the time. She did however arrange for some of her legislative staff to receive the West Virginian group. 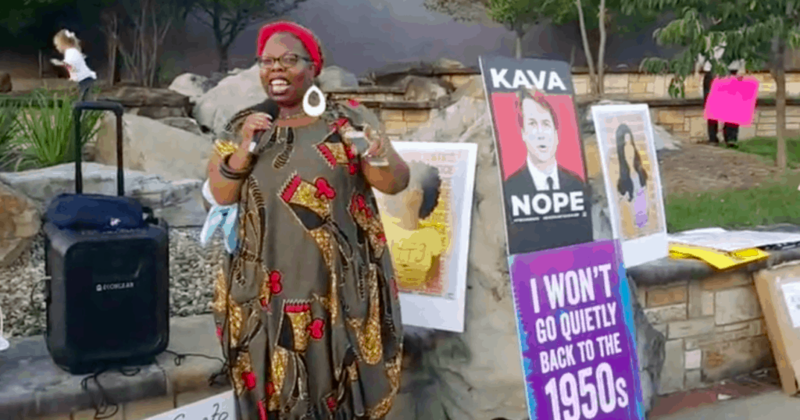 At WVCAG, we’ve worked with our close state coalition partners pulling out all the stops to stop Kavanaugh’s nomination. We know that if he’s appointed, it will set women, minorities and all working families back for generations. With help from phone banks and People’s Action affiliates all across the country, including the Maine People’s Alliance, we’ve hosted tens of thousands of calls to our senators and West Virginia voters. 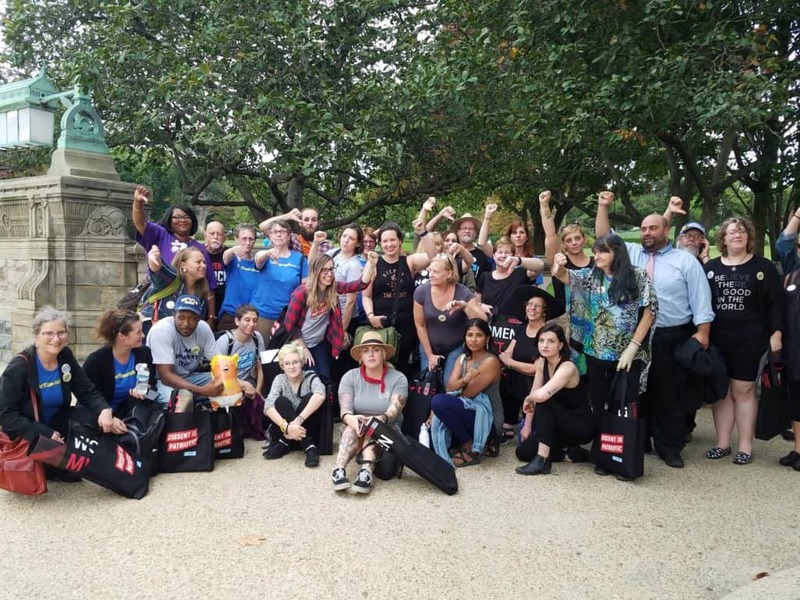 In D.C., in addition to our meetings at the Senators’ offices we marched on the Supreme Court, and were prepared to face arrest if that’s what was called for. We’ve been here before. Last summer, we caravanned across the mountains, too, to stop the GOP’s assault on the Affordable Care Act. That time, we won. We were successful then, and we can beat this now, too. We thank Senator Manchin for his attention, and hope our words reached him, and he will vote his conscience this weekend when he is called on to vote NO on Kavanaugh on behalf of West Virginia’s survivors. We’ve got to stand together, in West Virginia and all across the country. For the sake of every survivor, and for and every one of us who will be harmed by the anti-democratic decisions Kavanaugh will make if he gets a lifetime appointment to the Court, it’s time for your conscience to be heard loud and clear. Senator Manchin, you listened, now we’ll be listening to you. Vote NO on Kavanaugh.